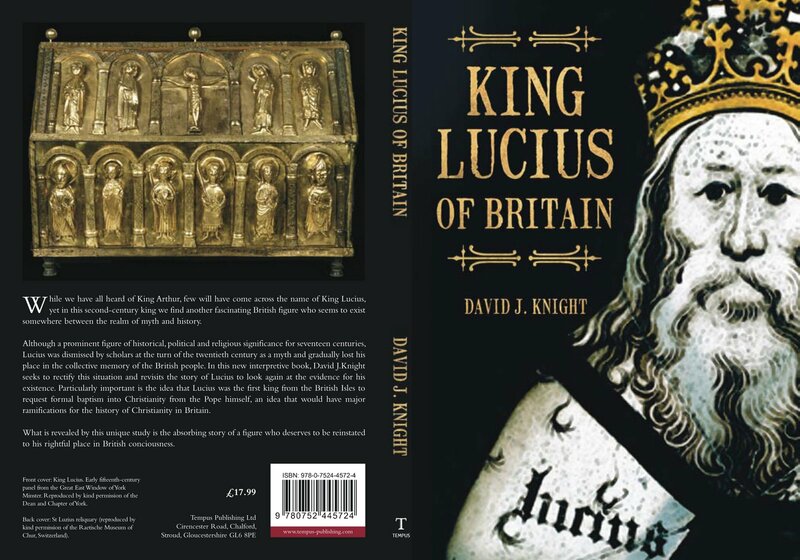 Just before Christmas I received a copy of King Lucius of Britain by David J. Knight. This actually came out in 2008 but I omitted to order a copy until recently. Lucius of Britain is a second century ‘King’ of Britain who was converted to Christianity and asked Pope St Eleutherius for missionaries to receive him into the Church. This story first appears in the Liber Pontificalis which dates from the fifth or sixth century. It is also reported in Bede. Obviously, there was no king in the mediaeval sense in the Roman province of Britannia in the second century. But it is not only possible but likely that there were indigenous Romanised aristocrats using such titles in their own circles. There is thus nothing intrinsically implausible about the account. It is of course deeply unpopular with Protestants and Modernists because it implies the recognition of the universal primacy of the Bishop of Rome as an obvious fact in the second century. Adolf von Harnack accordingly suggested that the account in the Liber Pontificalis originally referred to Lucius Ælius Septimus Megas Abgar IX of Edessa (who had a fortress called Brito) not to a British king and that the whole thing was a typo. After that everyone gave up on Lucius for a good long while. David J. Knight does a very good job showing that Harnack’s claims are not only entirely speculative but deeply unlikely. He then slogs through all the British evidence for Lucius’s existence over many chapters. The problem with this evidence, as he acknowledges, is that it is hard to show that it is independent of the Liber Pontificalis and then with Geoffrey of Monmouth’s Historia Regum Britanniae (circa 1136) which by blending Welsh tradition, romance and fiction without footnotes well and truly poisons the wells, the task becomes impossible. David J. Knight is an archaeologist and in some respects he is too uncritical of certain documents which are obvious forgeries but his comprehensive and open minded survey is a welcome antidote to Harnack’s ideologically motivated pseudo-scepticism. But he saves the best for last. It turns out that there is a quite independent tradition of a Christian British king called Lucius having travelled to the province of Raetia (now in Switzerland) and evangelised it. He is even said to be buried in the Cathedral of Chur and is the patron of the diocese. This tradition was already recorded in Chur in the seventh century and was not widely known in England before the sixteenth. The details of the two traditions do not resemble each other and so it is reasonable to see them as independent. Knight closes with some quite remarkable evidence that Romano British tribes were actually displaced by the Empire from Northern Britain to Raetia at exactly the period in which the Liber Pontificalis places Lucius. They were even from the far north of the Province of Britannia. One can hardly say better than that.